A new version of Skyrim containing all of the game's DLC will arrive this summer for $60, Bethesda announced today. June 4 for North America; June 7 for Europe and Australia. 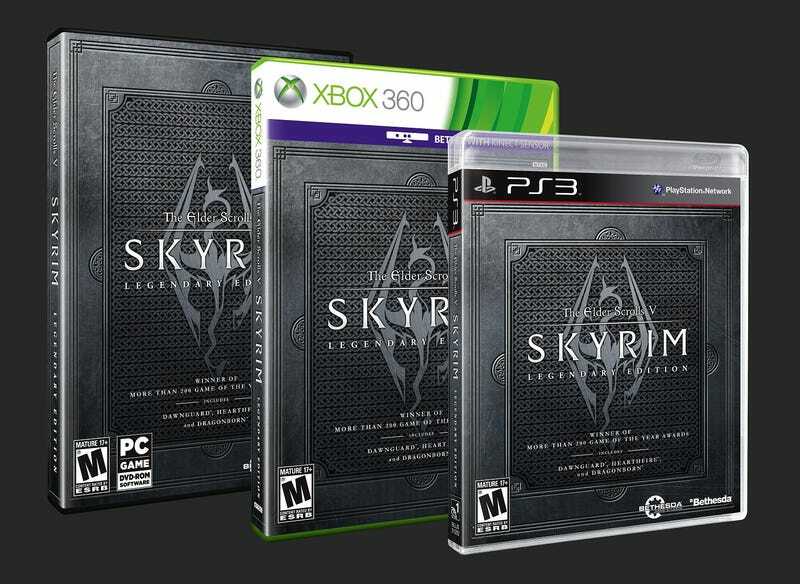 The Legendary Edition of Skyrim will be released on PC, PS3, and Xbox 360. This edition of the massive RPG will include the game and all three of its DLC packs: Dawnguard, Hearthfire, and Dragonborn. That'll be the last of Skyrim's additional content: earlier this month, Bethesda said they were done making DLC for the popular role-playing game.